Beverage managers are a unique class of culinary professional that usually either work together with bartenders or work as bartenders. If you’re interested in drink mixing and new types of drink recipe, beverage manager might be a fantastic career for you. 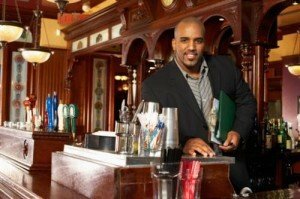 What Is a Beverage Manager? When dealing with larger companies or catering companies, the beverage manager is someone who is usually licensed to deal with orders for alcohol. The beverage manager will often deal with inventory orders for alcoholic or non-alcoholic drinks and may sometimes create recipes and menus for these drinks. Beverage managers are more common in catering enterprises, and are usually highly trained individuals that are knowledgeable about drink recipes and concoctions. A beverage manager is often hired in a catering enterprise to ensure that drinks are served in a timely fashion and that the managing of these drinks is appropriate. Ordinarily, a license will need to be acquired for the serving of these drinks. During a catering situation, a beverage manager may be responsible for those that are serving drinks as well. The catering situation will often depend on the amount individuals under the catering personnel. What Does a Beverage Manager Do? Beverage managers often become bartenders, but this is not the only career path for them. The responsibilities of a beverage manager change depending on the type of venue. Many beverage managers will have to ensure that those under them comply to licensing standards, especially during occasions such as receptions. Other beverage managers may simply ensure that sodas and juices are handed out as sufficient throughout an event. The role of a beverage manager changes depending on event and many may be expected to act out particularly complex roles, especially if the serving of wine or champagne is expected. Otherwise, most beverage managers will simply need to deal with supply and demand. A beverage manager will be expected to do inventory runs if it is seen that certain items are selling more successfully or running out. Beverage managers of very successful venues may deal directly with distributors such as Coca Cola or Pepsi to ensure that more common beverages are never wanted. O*Net Online notes that beverage managers also need to comply to strict health standards. How Do You Become a Beverage Manager? The field of beverage management is rather unique within restaurants and catering. Usually a beverage manager will be someone with many years of expertise within the industry and someone who is selected within the company,. A beverage manager does not necessarily require a formal education. but many have at least an associate’s degree within business or the culinary arts. Beverage management within the field of catering is a separate industry from actual catering. Many people will find that the beverage management can become quite complex due to both alcohol and soda distributors. Because of this, beverage management is usually considered a separate career path to ordinary beverage management. How Do You Advance as a Beverage Manager? Beverage managers often become bartenders, but this is not the only career path for them. Beverage managers can also become managers in their own right, but they often require a business degree to do so. An associate’s degree in business can afford those within the restaurant industry and the beverage management industry the mobility necessary to become a manager. Beverage managers may also become head bartenders for chains of restaurants or for catering enterprises. Overall, the field of beverage management is highly trained if not highly educated and there are many ways to break into the field through experience rather than education. The Bureau of Labor Statistics shows food and beverage management as one of the few fields that requires little by the way of expectation but still provides significant returns.